What’s the truth about your phone system not being compatible with the NBN? It’s come to our attention telephone companies and some IT companies are not telling the truth when it comes to explaining if your phone system is compatible with the NBN. They blatantly lie, telling you is; your phone system won’t work, it will need to be replaced with VoIP handsets or Hosted IPBX. This is simply not true, Phone Systems NBN Upgrade can be done, all you need is a ATA (Analog Telephone Adaptor), it is a device for connecting analogue devices such as phone system, fax machine to a digital line which your Service Provider provides through the NBN network. 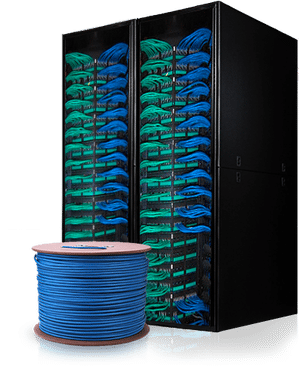 Depending on what ATA is installed it can support one or two phone lines, if you require several phone lines an IAD (Internet Access Device) is required, the IAD is supplied by your service provider. Instead of spending more money than you should when the NBN is connected call us and we can literally save you hundreds of dollars. When the NBN is connected in most cases the cabling infrastructure in your premises won’t require any work to make it compliant, but if it does we can take the headache away of making your cabling infrastructure compliant, we’ve been doing this work for a few years now. If at any time you have a problem with your NBN service we have the technical skill and equipment to fix the problem. If your dreading when the time comes you have to switch over to NBN because of all the horror stories you’ve heard call me and we’ll put together an action plan. I’ll assure you the transition will go smoothly and you’ll wonder what all the fuss was about.